Back in December 2005, the Philadelphia Distilling started in a warehouse in Northeast Philadelphia. They became the first new distillery in the state of Pennsylvania since the days of prohibition. 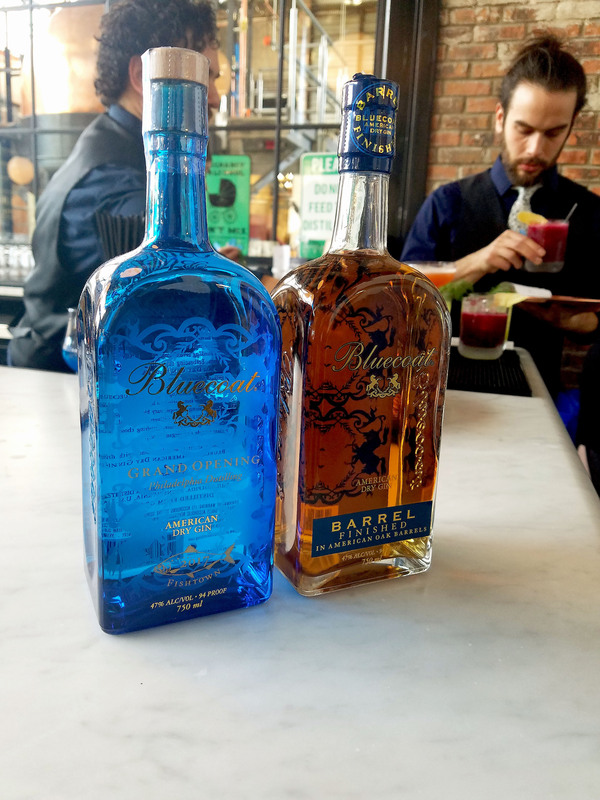 Their first product to be introduced was the flagship Gin called Bluecoat. The gin won awards two consecutive years in a row at the World Spirits competition in San Francisco. The liquor is made from 100% organic botanicals and distilled in their copper pot stills which are in full view behind the bar area of the distillery. After a year of preparation, the new 13,000 square foot warehouse includes offices, a tasting room, bar, and retail store. Tours of the distillery will begin this week where you can see firsthand how the Gin is made and even have a sample of the final product. AL DIA News appreciates and thanks Philadelphia Distilling for giving us a sneak peek into the new Spirit of Fishtown. Of course make sure you don't leave without a couple samples of their craftsmanship. We highly recommend the "Martinez"...Salud! and Cheers!